We pick out five top statistics from Saturday's Premier League action. Georginio Wijnaldum scored Liverpool's opening goal against Tottenham, his first away from home in the Premier League, but it was Roberto Firmino who notched what turned out to be the decisive strike. With 38 goals and 23 assists, the Brazilian has now been involved in 61 Premier League goals under Jurgen Klopp - 16 more than any other player. It's an eye-catching statistic which highlights Firmino's value to the side. His goals and assists are invaluable for Klopp, but so too is his defensive work-rate. Against Spurs, Sky Sports pundit Jamie Redknapp described him as "the ultimate team player". Liverpool's strong start owes a lot to him. Eden Hazard's dazzling start to the season continued with a hat-trick in Chelsea's 4-1 win over Cardiff. The Belgian now has seven goals and two assists in seven appearances for club and country in the new campaign. 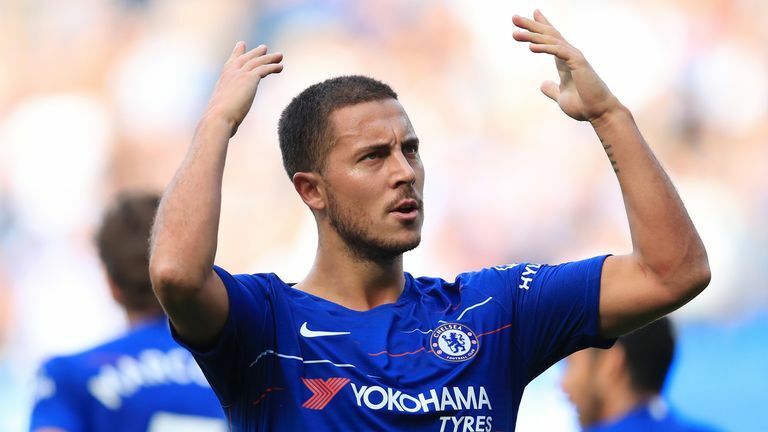 He has had a direct hand in half of Chelsea's 14 Premier League goals this season - despite only appearing as a substitute in their first two games. It was only Hazard's second hat-trick for Chelsea and his first since a 3-0 win over Newcastle in February 2014. He is only the fourth Blues player to score more than one Premier League hat-trick after Didier Drogba, Frank Lampard and Jimmy Floyd Hasselbaink. On current form, you wouldn't bet against him adding more. Arsenal secured a third consecutive win under Unai Emery, beating Newcastle 2-1 at St James' Park. Granit Xhaka curled home a stunning free kick for the opener, with Mesut Ozil doubling their advantage before the hosts notched a late consolation goal through defender Ciaran Clark. Xhaka and Ozil's goals were their first of the season respectively, meaning all 10 of Arsenal's Premier League goals this season have been scored by different players. Emery will be pleased not to be reliant on one source for goals, but he will also be eager to see more from strikers Alexandre Lacazette and Pierre-Emerick Aubameyang. Wilfried Zaha was sorely missed during Crystal Palace's 2-0 defeat to Southampton before the international break, and he showed his importance to the side yet again as he returned to score their winning goal against Huddersfield on Saturday. 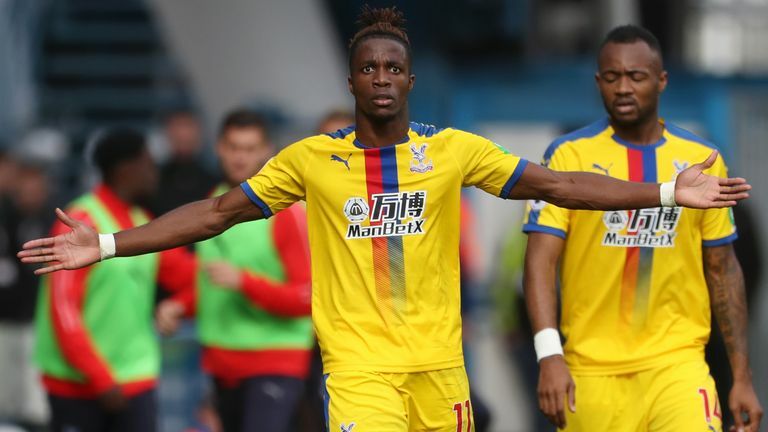 Zaha has now netted eight goals in his last 10 Premier League appearances - as many as he managed in his previous 44. The hot streak is good news for Roy Hodgson, who won't be too worried about his side's reliance on him as long as he can say fit and firing. David Silva was outstanding in Manchester City's 3-0 win over Fulham, capping a man-of-the-match performance by scoring their second goal of the afternoon. It was the Spaniard's 50th Premier League goal since his arrival from Valencia back in 2010. He is only the fifth player to reach that total with Manchester City after Sergio Aguero, Yaya Toure, Carlos Tevez and Edin Dzeko. His recent performances suggest he won't be slowing down any time soon.